I can’t remember the last time I had real homemade popcorn made on the stove. We have been eating microwave popcorn for so many years. I guess because of the convenience, but I will never go back. Plus, it’s not that healthy for you. In our house we limit the food we put into the microwave so this is yet another food item that will no longer be zapped. 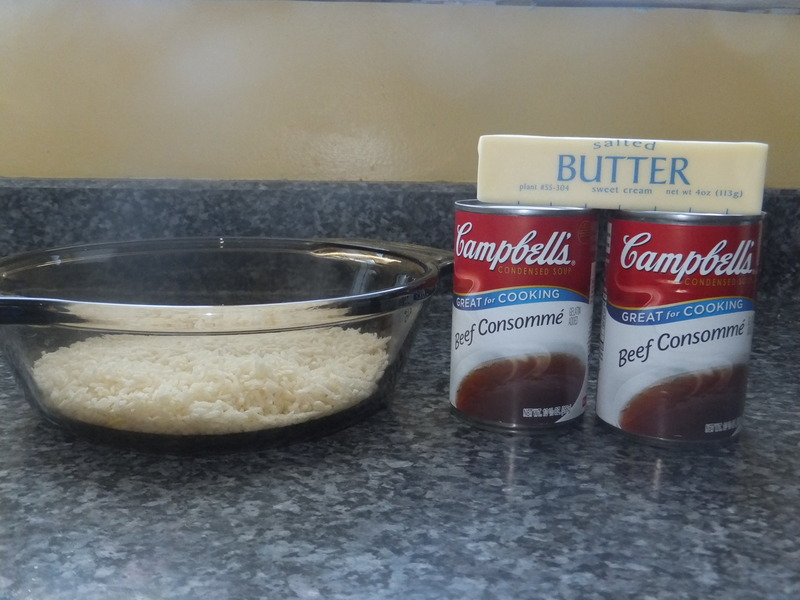 Making popcorn on the stove may sound very easy, however there is a special trick to it. If you don’t follow the directions below, there’s a good chance you will end up with burnt popcorn. The cooking method below also ensures that almost every kernel will pop too. Heat the oil in a 3-quart saucepan over medium to high heat. Put 3-4 kernels in the oil and cover the saucepan. When the kernels pop, add the rest of the kernels to the pan in an even layer. 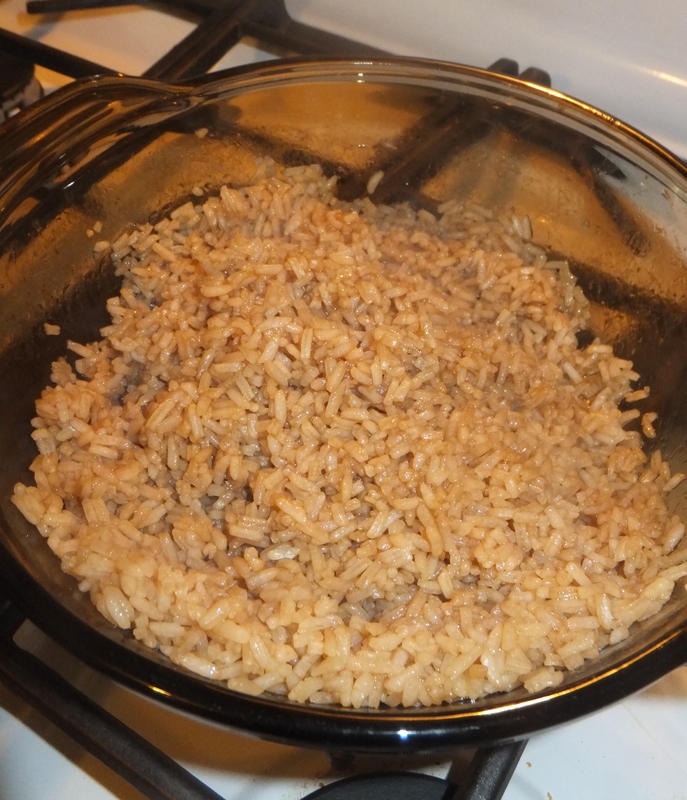 Cover and remove the pan from the heat for about 30-40 seconds. This method brings all the kernels to the same temperature so they will all pop at the same time. Return the pan to the heat. Keep the lid slightly ajar to let the steam release. Popping should begin very soon and at the same time. Listen carefully to the popping. 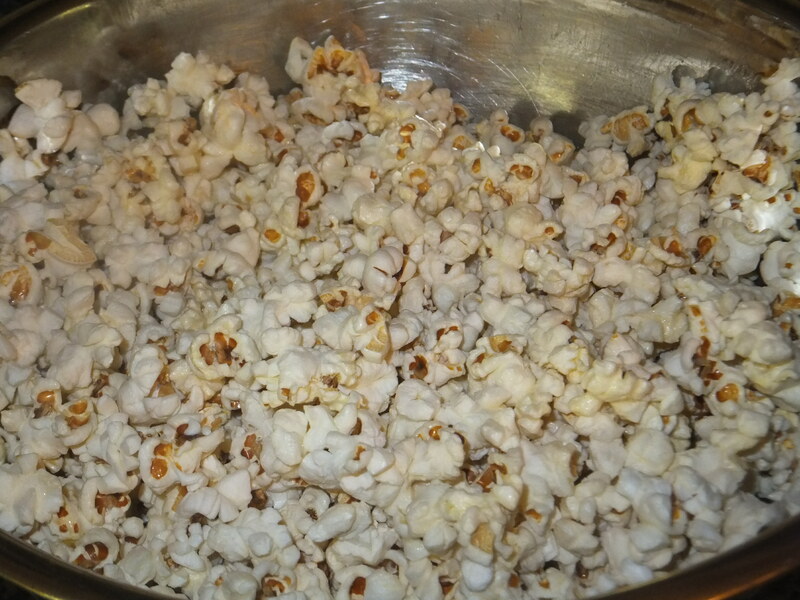 When there is a few seconds between pops, remove the pan from the heat, remove lid, and add the popcorn to a large bowl. Using this method ensures almost every kernel will pop and keeps it from burning. If you like buttered popcorn, add 3 Tablespoons of butter, more or less, depending on your preference to the empty saucepan. The butter will melt very quickly. Evenly pour the butter on your popcorn. Add sea salt to the popcorn. You can also get creative with some additional seasonings such as: pepper, cayenne, grated parmesan cheese (my favorite to add), melted chocolate, and so on. Popcorn can also be used to make an awesome trail mix.